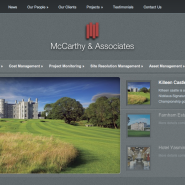 Welcome to the new McCarthy & Associates website. We’re sure you’ll find all the information you need about our company and the services we offer. If you’d like to contact us please go to the Contact Us page.